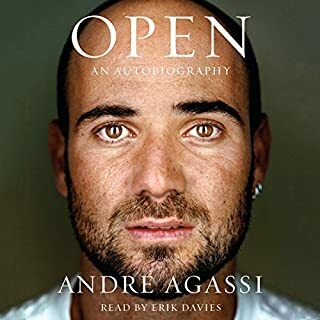 This audiobook will show you tested methods to make you psychologically strong and give you the ability to deal with any situation on the tennis court. You can take control of the moments that matter by becoming mentally strong. Master the inner game and you will master tennis and take your game to the next level. 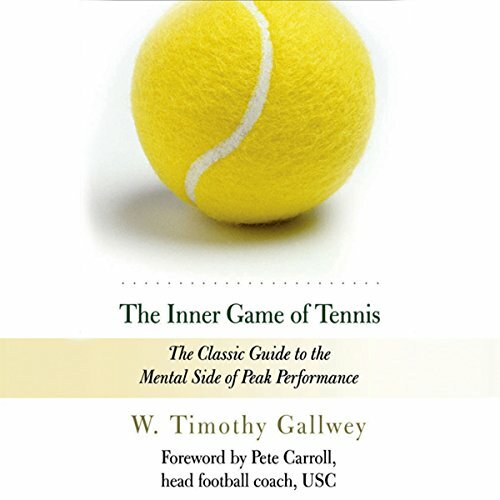 ©1997 W. Timothy Gallwey (P)2007 Random House, Inc.
What made the experience of listening to The Inner Game of Tennis the most enjoyable? What was one of the most memorable moments of The Inner Game of Tennis? Apart from the above mentioned passage, the description of his teaching style vs the traditional one. So eye opening, gentle, and powerful. Have you listened to any of Dan Woren’s other performances before? How does this one compare? I have not but for a while, I thought it was the author reading it, he commanded the material so well. The description of self I and self II are so recognizable that it feels like meeting an old friend...yourself, that is. This is the original inner game and I have heard people say that it's the most powerful one. the principles described here are universal to all sports and all activities where performance and pressure play a part, such as for example music. I'm a musician and I'm not going to get the Inner Game of Music. This is the root and the original! I have listened to this audio book twice and I have learned a great amount both times. You learn and it also gets you thinking. This book talks a lot about tennis but the principles probably apply to nearly everything in life. The world is shaped by the thoughts in your head and you can shape you're inner game or inner thoughts to benefit the outer reality. Great philosophies, not just for tennis. As a martial arts instructor, The Inner Game of Tennis has helped me understand the body's natural way of learning and how to teach in a way that is more conducive to retained muscle memory. In only a week, I have seen great improvements in how my students are able to pick up complex movements at a much faster rate without as much effort on my part. Even students that have been notoriously difficult to teach, it feels as if I've unlocked their true learning potential. The reality is that I have finally learned to challenge them appropriately through the lessons I have learned from this book. Every instructor, no matter your sport, should read this book. And I also played out of my mind in my last tennis match! The heart of coaching art! Would you consider the audio edition of The Inner Game of Tennis to be better than the print version? Easy understanding! And propounding discovery, no any useless talking, lots examples elaborate, great help! Self 1and self 2 theory! I want to buy his other two books, inner games of work & stress! Please ! I have seen immediate results by using the techniques described in the this book. I highly recommend it. Inspiring audio. Gave me the same inspiring feeling as I got from the book in the 80s. I picked this up on the advice of a personal trainer who noticed I was struggling with calisthenics. It may be hard to believe a book could make training easier or more effective, but that has definitely happened in my case. The advice contained here truly opened my eyes on how to focusing and achieve my best possible game. 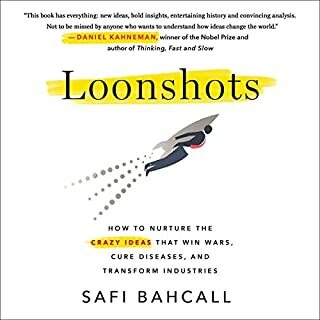 This book is beyond highly recommended! Go for it! Excellent advice for musicians as well. So much of performance is an internal struggle. This book will help you understand it whether you are an athlete or musician. Amazing. 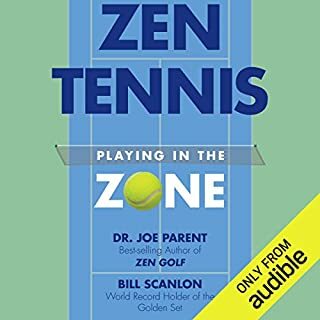 Where does The Inner Game of Tennis rank among all the audiobooks you’ve listened to so far? This is probably the first audiobook I've listened to completely. The narrator gives an impression of understanding his content; he sounds earnest. Pleasant voice. This book is best absorbed chapter by chapter as there's so much to absorb. As a book, this has to be the best self-development book I've read. It is also, reportedly, the book that started the individual/business coaching revolution in the 70s. Deals with the mental game of tennis so well, from mental attitude towards learning and improving strokes, to your mental approach on court, how counterproductive your 'inner critic' is to your game, and how you should try and achieve 'psychological flow' (ie being 'in the zone'). Particularly good for overly pushy parents coaching their kids who don't realise that berating or yelling at their kids isn't helpful. Highly recommended for any tennis player at any level. Not Just A Classic! Top Quality Too! Tim's book is not just a Classic: it is extremely Classy too! A thoroughly excellent read. Tim breaks down the Inner Game and Outer Game with a skilled hand. Many many 'I's have been dotted and 'T's crossed with this one. Awesome read, Tim! Thanks a million! Success is an Inside Out Job. 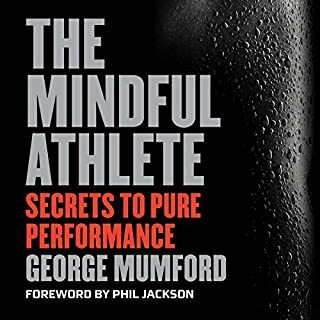 a classic must read or listen for anyone with an interest in performance coaching for themselves or others. There is a central message to this book- something to do with relaxing and allowing your unconscious mind take control. There, said it. If you listen to the book, you can hear the same thing said again, scores of times, in various different (and not so different) ways. And that's it. Again and again. And again. Really insightful and yet lacking the pretence many other self development titles have. Very enjoyable listen, also thanks to the narrator. A must for any sports coach. What a book!! I highly recommend this book to any sports coach. The coaching points are transferable to any sport. A must for anyone involved in sports but so applicable to life in general also. Amazing read!!! Love it. I would highly recommend this book if someone wants to understand what is Innerself..
I’m no tennis player but this book spoke my unspoken words to me. It definitely goes way beyond tennis and it’s worth a read for anyone looking to improve whatever they’re doing and/or understand why on a deeper level. Considering it was written in 1974 it is amazingly fresh and up to date. I've wanted to read this for years and was not disappointed. 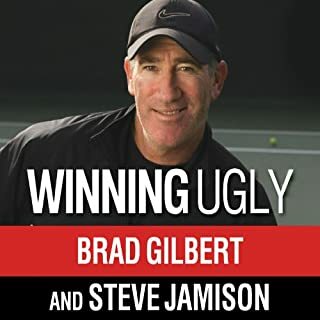 What you will learn from this book is of so much value not only for Tennis, or every sport, but for business and life in general as well. Great for tennis players at all levels. I liked a lot of the examples and tips. Can recommend it for most players but keep in mind it's not a technique instruction book. The book strips back the noise of modern cognition training allowing for the simplistic yet fundamental expression of self to be exposed (this being self 2). A good reminder to remain grounded in any situation and allow our minds to learn and grow. A good commentary for continued mental stimulation and growth. Only criticism is the lack of depth in the role of enthusiasm, as this stoic approach can sometimes be misconstrued as a guide to a passive life (never to high, never to low). Thorough research will suggest otherwise, however, the message to the newcomer short be clear. Allowing self 2 to dominate, does not mean to not show vulnerability and enthusiasm. Quite the contrary in fact! Has The Inner Game of Tennis put you off other books in this genre? Will make me think twice. Did The Inner Game of Tennis inspire you to do anything?